work solo or in self-created teams to identify an important problem and work to develop a tangible solution in several iterations over the course of a full year. attend monthly cohort meetings in addition to individual and group meetings with their respective advisors and the program directors. incorporate aspects of design thinking, entrepreneurialism and product development as they work through an iterative cycle to develop and implement their solution. meet regular deadlines by presenting their work both online and in person. 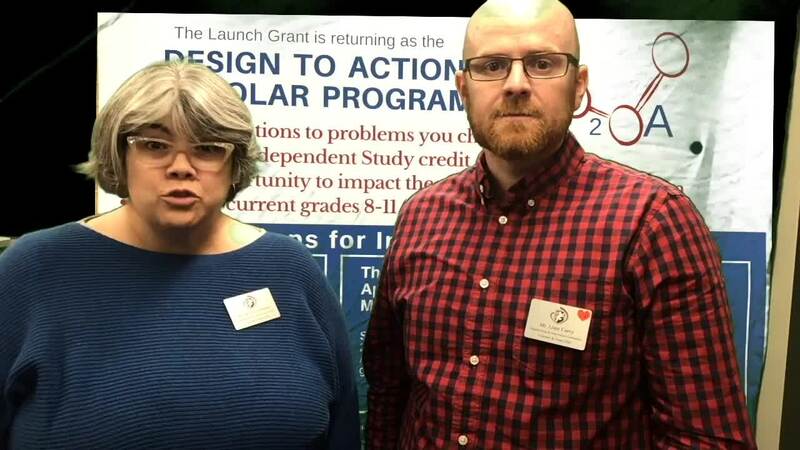 Upon completion, students may be invited to present their work in an effort to gain startup funding through the Launch Grant program. See what to expect and learn more. Mr. Carey and Ms. Inchausti introduce this new program to get a sense of what to expect. A link to the application will be given at an ideation session. Applications are for the 2019-20 school year. Upon successful completion of the year-long program, students are invited to compete for a Launch Grant to gain startup funding.